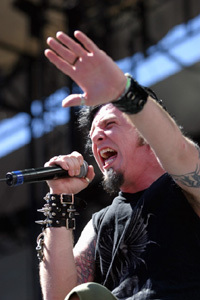 Unmasked Man: Mudvayne ditched the makeup but frontman Chud appears intense as ever. 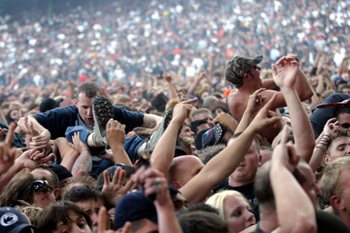 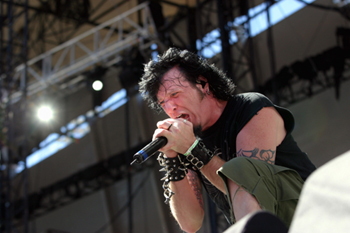 Math Metal: Mudvayne's Chud rails against greed, censorship and conformity. 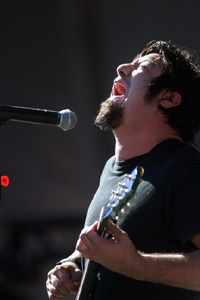 Hot Hot Heat: Deftones frontman Chino Moreno sweats out his demons. 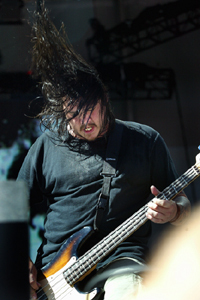 Hair Flair: Deftones bassist Chi Cheng gets into the swing of things. 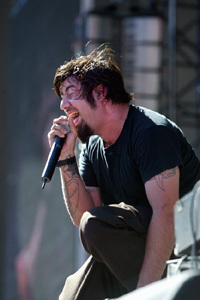 Shove It: Deftones frontman Chino Moreno rails at the sun. 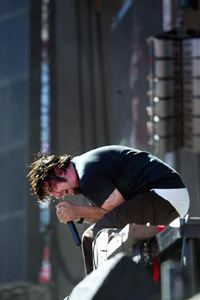 White Chones: Deftones' Chino Moreno reveals a little more than his soul.